It’s hard to pick the best travel destination with so many options out there. So why not let us do the work for you? We’ve listed 5 holidays you can take and why they are awesome. 1. South France: A playground for the rich but the beaches from Nice to St. Tropez are some of the best in the world and provide the best amenities for accommodation as well as pleasure with a few affordable options as well. 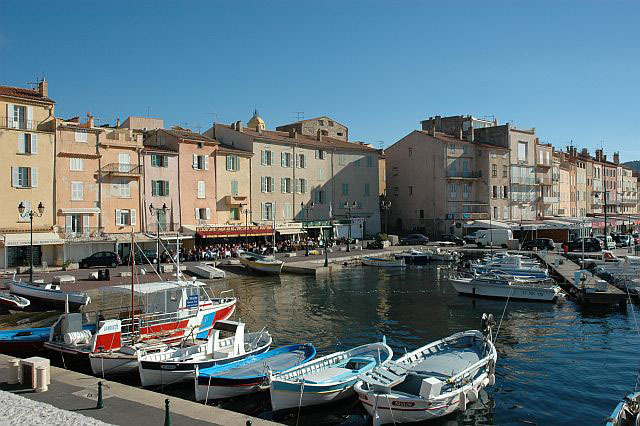 People often start from resort town of St. Tropez, to the festival town of Cannes, drive to the perfume town of Grasse and then head to the historic town of Monte Carlo with its flagship casino. The experience of savoring the best French food and wine and just relaxing on the beaches is perfect way to live it up while you relax. 2. Ayutthaya and Chiang Mai, Thailand: The areas north of Bangkok are just heavenly for any traveler looking for relaxation in the heart of an ancient civilization. Ayutthaya, the old capital of Siam with its wonderful temples to the hill town of Chiang Mai, the second biggest city in Thailand. The journey from Bangkok to Chaingmai is in itself divine with all the natural beauty and the many animals you’ll get to see along the way. The atmosphere, food, animals and massages are perfect for anyone looking to getaway at a very reasonable price. 3. Singita Game Reserve, South Africa: Although Singita is an extremely expensive resort, often named the best hotel in the world, the experience of living in an actual Safari surrounded by the most exotic wild animals in Africa is like no other. The guests stay in dedicated lodges and are treated to the best food, wine and amenities as well as numerous body treatments. Their lodges are designed so close to nature that one feels that they are actually staying outdoors with open-air yet private bathrooms and patios to drink and eat on. This is one truly relaxing adventure for the well heeled traveler. 4. Southern India: One of the biggest advantages of traveling in India is the low cost. Southern India boasts of some of the best yoga schools, the best one in Mysore, as well as the state of Kerala which is probably the most relaxed place in the world. Known as the God’s own country – the greenery, tall palm trees, the backwaters with houseboats to stay overnight as well as specialized massage packages available here make it a perfect destination looking for an exotic place of rejuvenation. 5. Mauritius: There is a saying about Mauritius: it boasts being an island where there’s 99% fun and 1% work. Located a little north east of the South Africa this island country attracts travelers from all over the world. It has lots of affordable accommodation options along with wonderful food and extremely hospitable natives. It is lined with sandy white beaches, the largest coral reef in the world and a transparent lagoon. This is a true exotic destination for someone looking to relax near the ocean.